The target audience for this book appears to be children ages infant to age 5, and it speaks to families created through adoption, especially families through international adoption. Happy Adoption Day appears to be less of a story than a joyful and celebratory poem about celebrating the day a child was adopted. The written content focuses on the broad topic of adoption. However, the illustrations focus on one main caucasian family who traveled by airplane to adopt an Asian child. The illustrations are painterly in style with much color. The looseness of the brush strokes and subject matter help to move the poem through it’s celebration of adoption day. 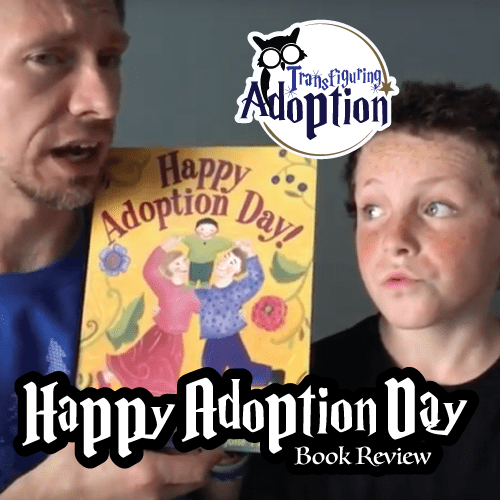 Transfiguring Adoption believes that this book would make a good addition to a home library as a fun bedtime story book for a very young child. Adoptive children will be glad to relate with a subject matter that they can identify with. 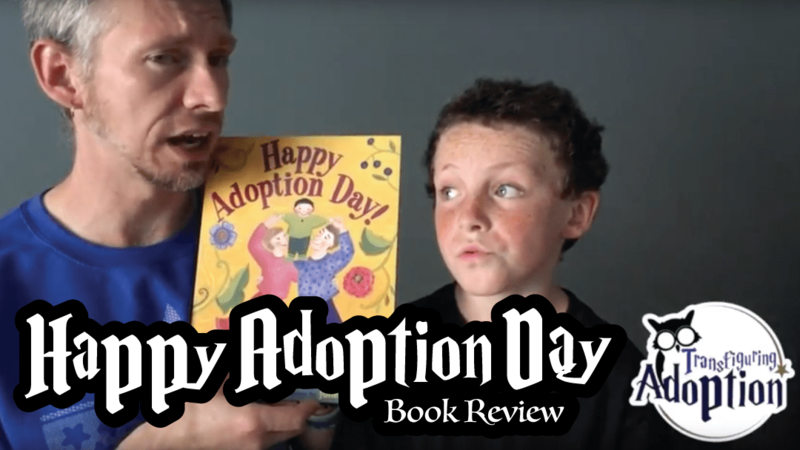 While this book appears to be useful in giving adoptive kids an identifiable and fun tale, its use does not appear to be giving a more in depth explanation of adoption or tackling some of the more complicated emotions that go along with adoption. Why do you think the family is celebrating adoption day? How did the mom and dad prepare the house for the new child? What did your mom and/or dad have to do to get ready for you to come home? When you’re adopted, how long will you be a part of your family? “Laszlo is afraid of the dark. The dark is not afraid of Laszlo. The target audience for this book appears to be a general audience and children around ages 4 -7. 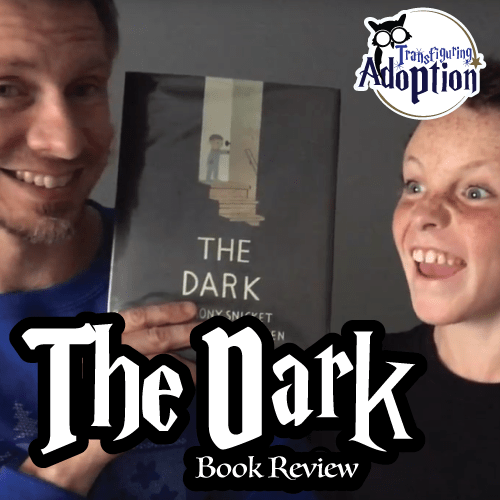 While this book is not directly written for a foster or adoptive audience, it deals with a topic that many kids from trauma backgrounds struggle with – the fear of the dark. The illustrations are executed by Jon Klassen. The images themselves appear to have a very unique stylistic approach with a monochromatic use of colors that adds to the emotions Laszlo is having while being in the dark. The story itself simply contains two characters – the little boy, Laszlo, and a personification of the dark. 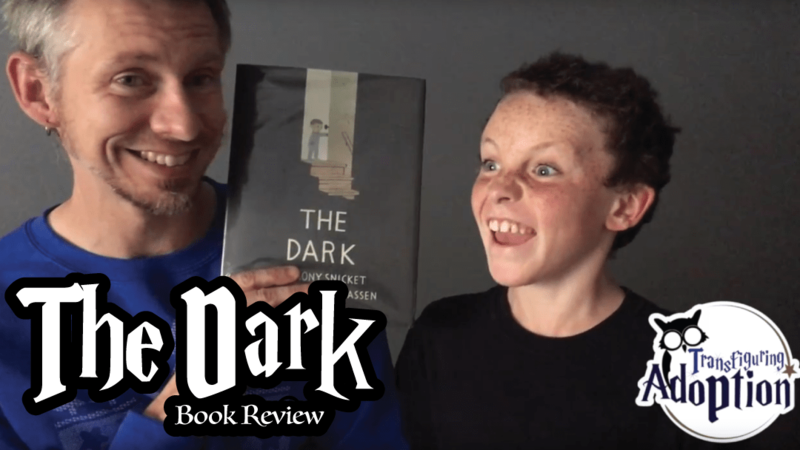 The tale appears to offer a great conversation starter of why a child might be scared of the dark, the light conversation about the purpose of the dark, and a fictional, fun way of showing the personification of the dark being helpful. Overall, this book appears to be a good resource for starting a conversation with your child about the dark and their fears. On a personal note, I wish I had owned this book to read with my now adopted children when they were younger and concerned about sleeping in their bedrooms at nighttime. Where was the dark in Laszlo’s house? What places are the dark at in your house? What did the dark do for Laszlo? Why do you think Laszlo had a nightlight in his bedroom? Does the dark ever scare you like Laszlo? Why or why not? Laszlo had a nightlight. What is something that helps you feel fine in the dark at night? “Boy built a wall to keep himself safe. Behind it he felt strong and more protected. Then Someone Kind came along. She bounced a ball, sang and painted on the other side of the wall, and Boy began to wonder if life on the other side might be better after all. We strongly recommend this book for foster and adoptive families of kids from with a history of trauma or emotional pain. One of our older children when asked how many hoots the book should receive stated that it should get an 11! The target audience is ages 4 through 9, but even our older children were able to really relate to and enjoy this book. The illustrations are very well done and use the contrast of color pictures to show positive emotions and actions—happiness, kindness, playfulness, connectedness—and grayscale pictures to portray scenes reflecting negative emotions—sad, scared, lonely. Our children (ages 9 to 17) all picked up on and appreciated this visual depiction of feelings. 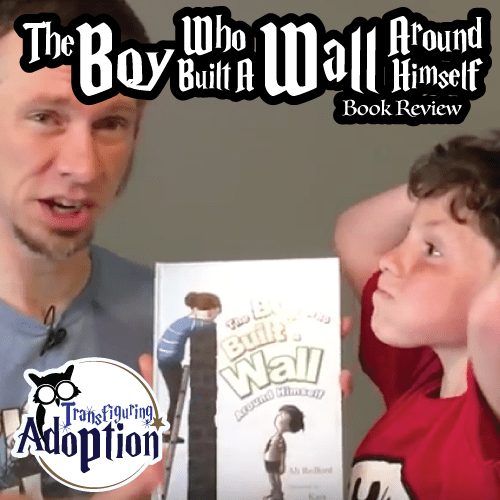 The Boy Who Built a Wall Around Himself offers hope and compassion to children who have suffered, and it provides parents and caregivers an opportunity to start important conversations about emotions, trauma, and metaphorical walls and connect with children in their care. It would be a great book for a foster or adoptive parent who has been attempting to reach a child and build trust but has had a hard time reaching the child or a child who seems close to attaching but still a little scared and resistant. What do you think Boy was scared about? Why do you think Boy lied, stole things, and fought? Why did Boy like the wall at the beginning? Why didn’t he want the wall at the end? Is Someone Kind a safe person? Why or why not? Boy’s wall kept him safe. 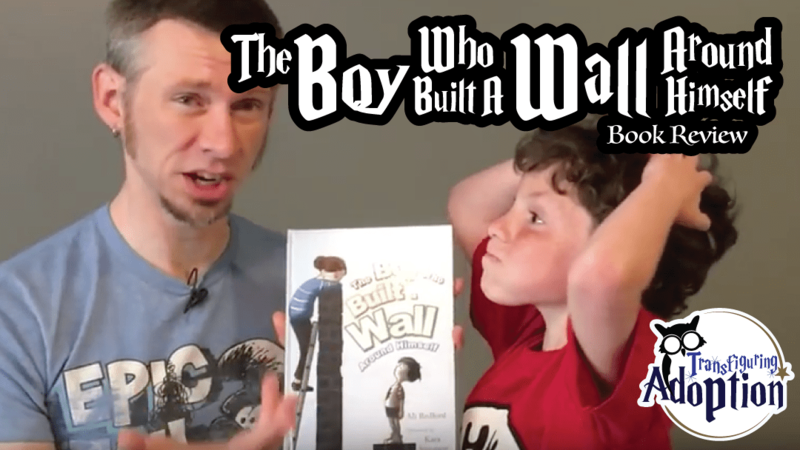 Why didn’t he need the wall at the end of the book? Who are safe adults you can talk to? Ask your foster/adoptive parent(s) if they see you using a wall like Boy? What do they see? Talk about one thing you can do this week as a family to start bringing the wall down.